1932 was an interesting year for SHORT STORIES. The depression was in full force, yet they made the decision to increase pages to over 220 each issue. This attempt to increase circulation must have failed because they soon returned to 176 pages. "South Seas and a hunt for a lost city and buried treasure--just the type of yarn I like! And HBJ does it better than anyone else. An excellent adventure story by one of my favorite pulp writers." For almost 30 years, 1921-1949, this magazine came out every two weeks like clockwork. Each issue had some of the best adventure and western fiction ever to appear in magazine form. As my comments from 35 years ago indicate, the stories are still enjoyable. 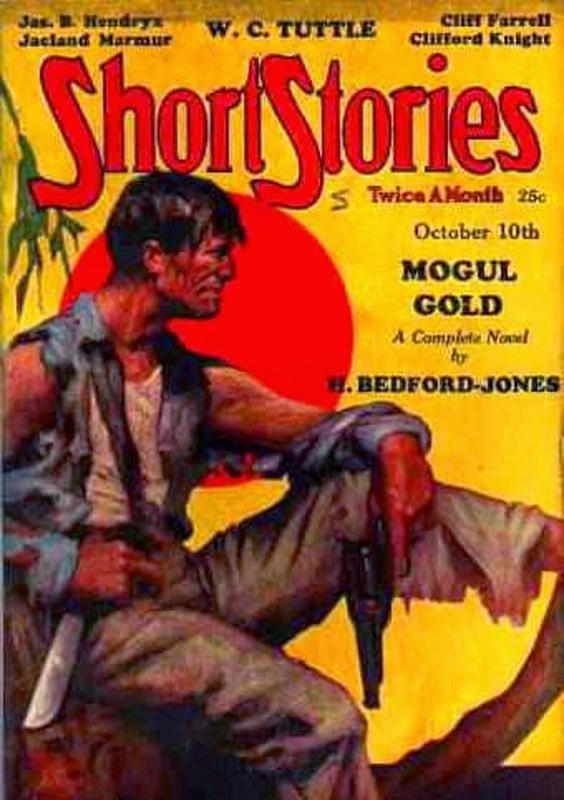 The thing I like about Short Stories is they are not nearly as expensive as some pulps and the stories inside are pretty darn good.